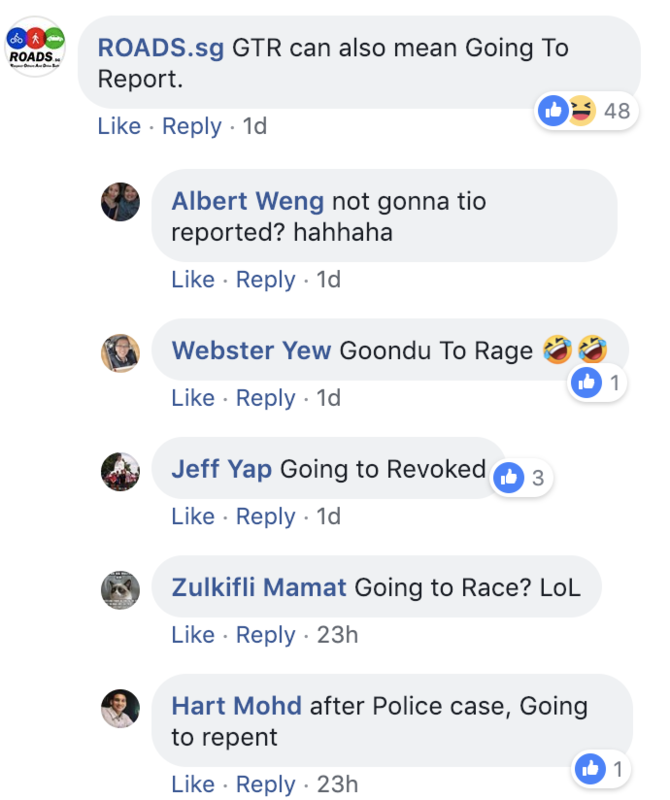 Singapore – A dash cam recording was submitted to ROADS.SG a few days ago that contained footage of a typical block and brake check on the road. Only this time it was by a Nissan GTR driver who was clearly pissed at the driver who submitted the recording. “Crazy GTR driver SJR118G was disrupting traffic, blocking and brake checking repeatedly. The video starts with the GTR getting into position to seek some revenge on the driver with the dash cam. The GTR can be seen changing lanes just so that it is in front of its target. The dashcam driver was seen taking another route but after a few seconds, the Nissan appears on its right and successfully cuts in front. The GTR commences with a block and brake check, which made the other vehicle change lanes. With a tap on the gas pedal backed up by a V6 engine, the GTR was quick to change lanes as well. The driver made a sharp right and went into another street but lo and behold, the GTR appeared in front once more and cut the vehicle. We are now sure that it only had one target in mind. Whichever lane the dashcam driver switched to, the Nissan would follow. 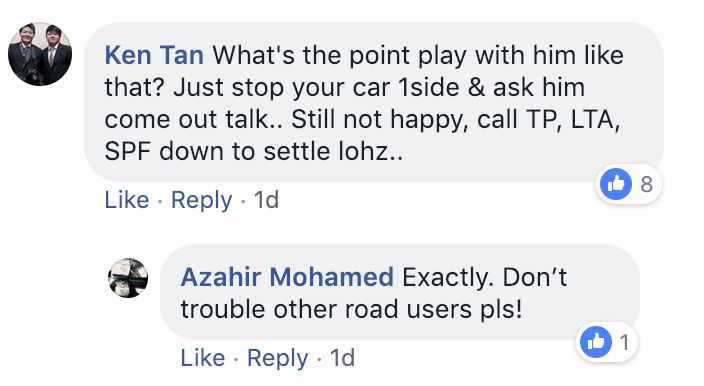 Then it suddenly hit the brakes, which made the car behind it come to a complete stop, almost bumping the S$580,000 sportscar. "Crazy GTR driver SJR118G was disrupting traffic, blocking and brake checking repeatedly. Reckless driving and road raging on Somerset Road. Nissan GTR car plate is SJR118G. 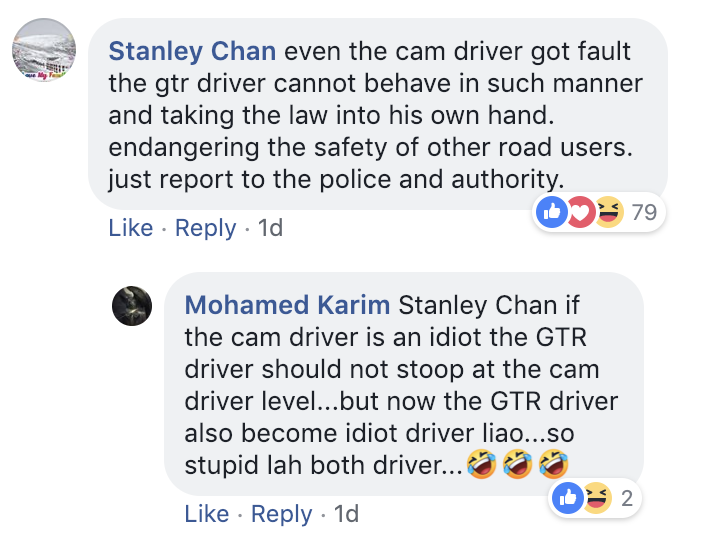 "Credit: LQTTo GTR driver, we are waiting for your car cam footage, submit to admin your side of the story. All throughout the video, both cars, especially the GTR, risked the safety of the other motorists. The question is, “Did the dashcam driver do anything to annoy the GTR driver thus causing this scenario?”. Why did the footage only contain the latter part of the incident? The online community is demanding for the earlier part of the footage as well. 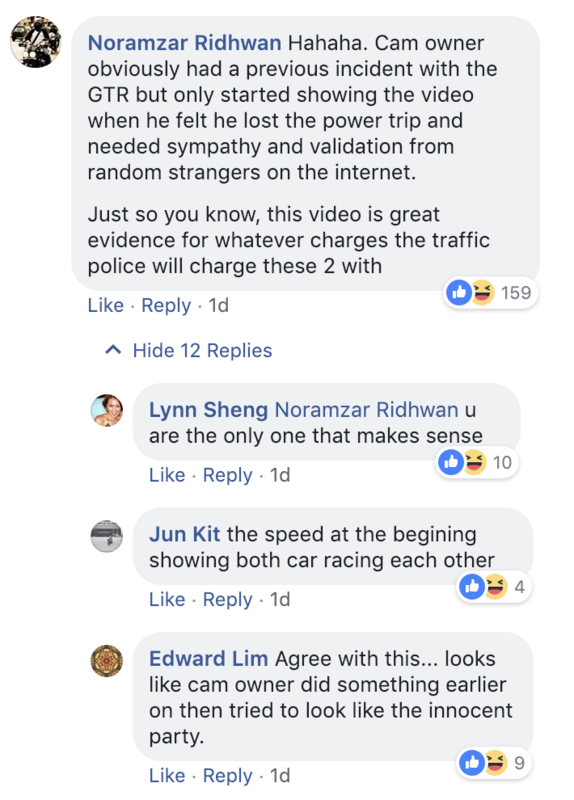 Noramzar Ridhwan and a few more netizens made clear observations on the evidence and agree that the cam owner must have done something to trigger the GTR driver. 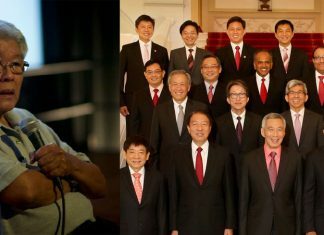 Ken Tan, on the other hand, does not see the point of a power play.